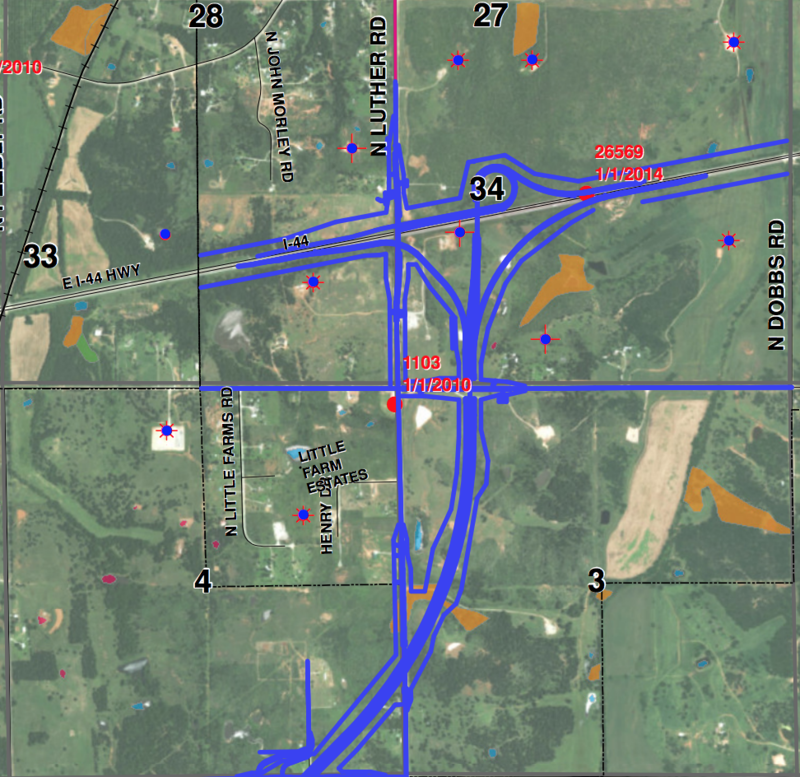 Two years after the announcement of the controversial Eastern Oklahoma Turnpike, dirt work has quietly begun. 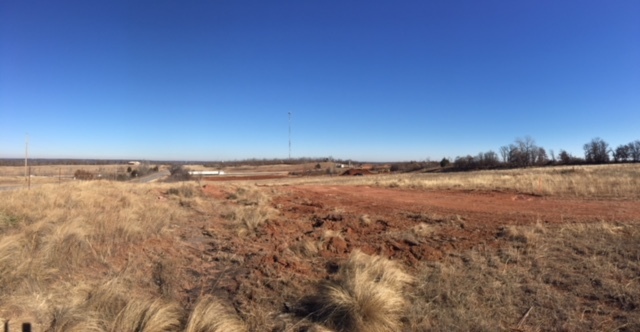 There was no fanfare, groundbreaking or ribbon cutting – but the dirt movers are on the scene between 164th and the current Turner Turnpike next to Luther Road. It’s where the $400 million dollar roads begins. It will end in about three years at I-40 roughly at Luther Road. Turnpike officials say the route has not changed except for “a few feet here and there.” The map is the one on the Driving Forward website. The north entrance to the EOC Turnpike is north of 164th and just east of Luther Road. Dirt work has begun on the new interchange that will not include an exit into Luther. The OTA Board met this week and awarded several contracts specifically to the EOC at a cost close to $28 million. Manhattan Construction was awarded the nearly $13 million job to work on the five “northern” bridges along the route, including the current work at the Luther Road bridge. Reminder, there will not be an exit from the new turnpike into Luther. The construction will include the high-speed interchange. The Hogback entrance and exit a couple of miles to the west of the new toll road will still be accessible. Although extensive work is needed on the Luther Road bridge, the road is not expected to close, according to officials from Oklahoma County. 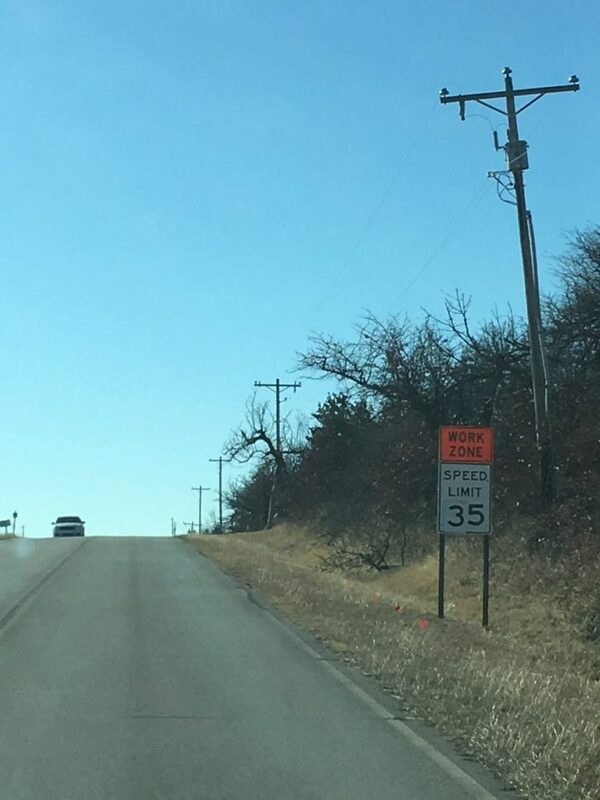 Motorists on Luther Road should be aware of the new speed limits in the construction zone south of town that apparently are being strictly enforced by the Luther Police Department. 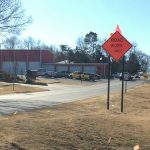 The OTA also awarded a $14 million contract to Bob Bergkamp Construction to perform grading and drainage work between Britton Road, where there will be an exit, and 164 Street. That work is not expected before June. Meanwhile, OTA continues acquiring property to build the road, negotiating with landowners and taking others to court. 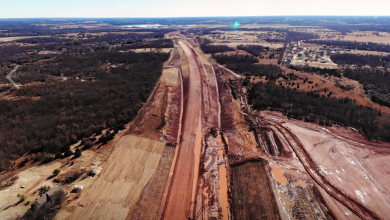 A dozen or so eminent domain lawsuits are active in Oklahoma County Court filed by OTA against various private property owners, with some lawsuits filed just this week. Hope it rains every other week….